The flight school is hosted at 61st Wing at the Galatina Air Base. 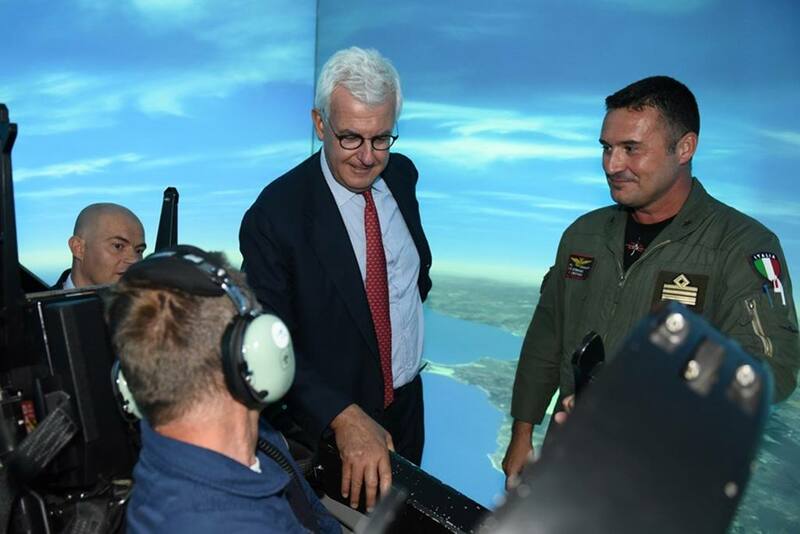 Leonardo CEO visits Italian Air Force Flight School. 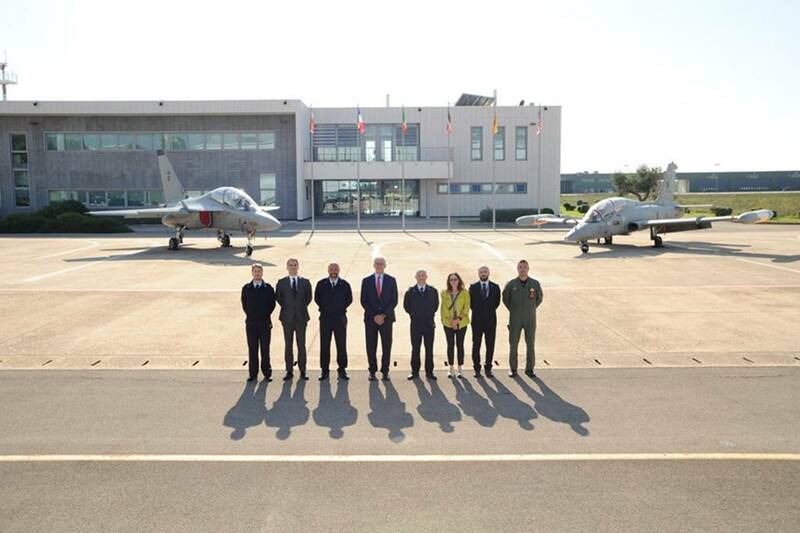 On October 1, 2018, the Chief of Staff of the Military Air Force Command, Gen. Paolo Tarantino, the Commander of the 61st Wing, Col. Alberto Surace, and the Director of the 10th Aircraft Maintenance Department, Col. Alessandro Pellegrini, received the CEO of Leonardo SpA, Alessandro Profumo, at the Galatina Air Base, home of the Italian Air Force Flight School. The visit took place following the collaboration agreements signed in Farnborough last July, which provides for the strengthening of the training offer and the establishment of the International Flight Training School (IFTS), as well as confirming the close synergy between Italian Air Force and "Leonardo". Profumo could observe the results of the continuous improvement process of the flight school that is able to offer an advanced training course for national and international students. Only three years have passed since the first T-346A touched the runway of Galatina AB and currently the 61st Wing is preparing to include in the fleet a new trainer aircraft, the M-345HET - High Efficiency Trainer (T-345 for ItAF) developed and produced by Leonardo. This aircraft, which will gradually replace the T-339A jets, represents the best evidence of a project born and realized according to the design-to-cost concepts (saving on unit cost and flight hour cost) and will allow the user to obtain savings management during the entire life cycle. 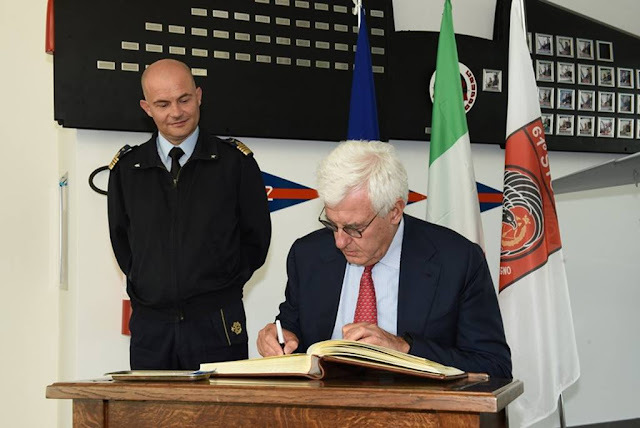 This evolution will allow the Italian Air Force to achieve increasingly important cost-effectiveness targets in terms of quality of the exiting level of visitors and containment of overall resources.